Strange Mana costs, and how to interpatate their converted value. Can I use Painter's Servant to Glittering Wish a monocolored card? 4x Polluted Delta and maybe a few Flooded Strand 's. Thoughtseize if to pricey here is a cheaper alternative Inquisition of Kozilek Thought Scour better so u don´t generate card advantage for ur opponent. 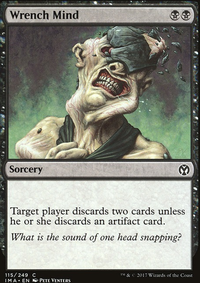 I would include a removal like Cast Down , etc. and more counterspells like Spell Pierce , Mana Leak , etc. 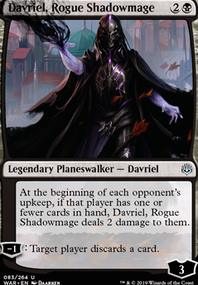 To start, try to drop Dark Ritual for an effect like Thoughtseize or Inquisition of Kozilek , fit in card advantage like Dark Confidant so you can beat your opponents on combo. 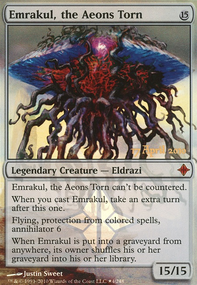 Run less aggro creatures, or switch to a list using a Smallpox / Pox strategy. 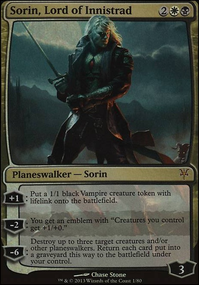 I'd move away from mono-black vampires, to get into green so you can play a nic-fit list or jund list in style. 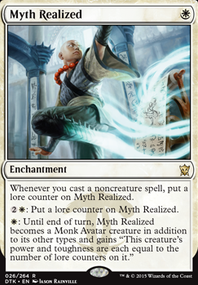 Looking up "Nic-Fit" or "Jund Midrange" can show you how these midrange decks work.